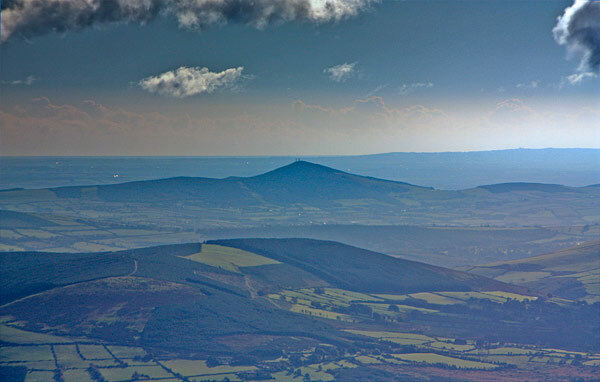 South of the main Wicklow summits are a number of smaller tops poking their heads above the South Wicklow/ Wexford plains. Even if you been to all of the summits it's tricky to remember which is which. 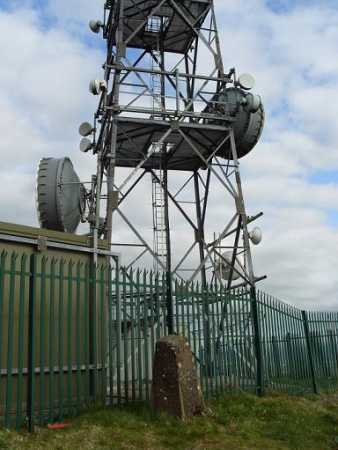 If you are looking for at least one distinctively recognisable in the crowd, then such is this summit because of its distinctive triangular shape and the plethora of telecoms towers on it. 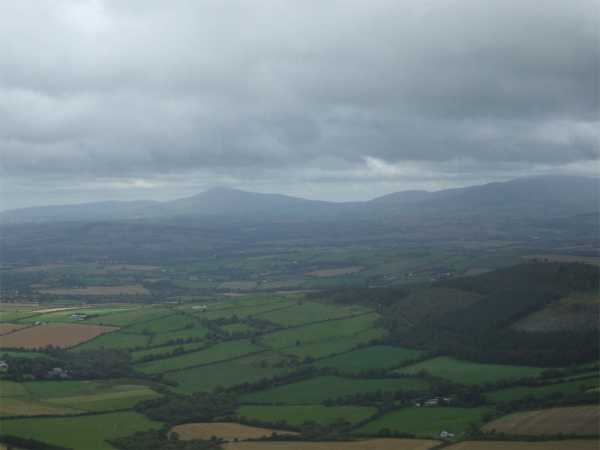 It's very identifiable from many of the South Wicklow/ North Wexford hills. 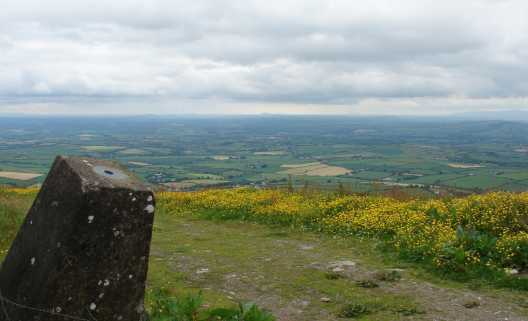 Slieveboy stands in splendid isolation, offering 360 degree panoramas to the Blackstairs, south Wicklow Mountains, and the Irish Sea. 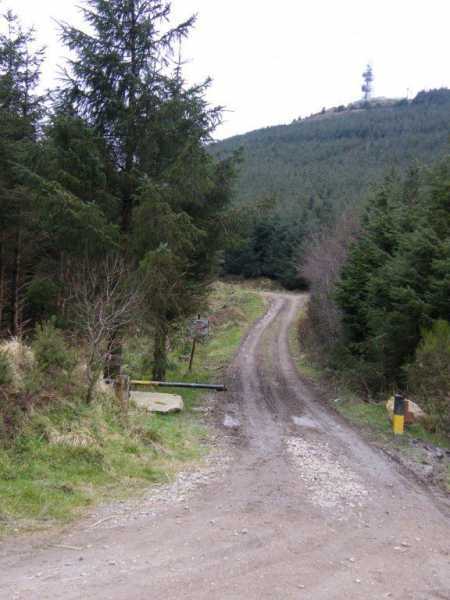 We approached from the south and east, parking at the forest track entrance at T02728 57076 B, and following the forest track shown on Sheet 69 to the south. 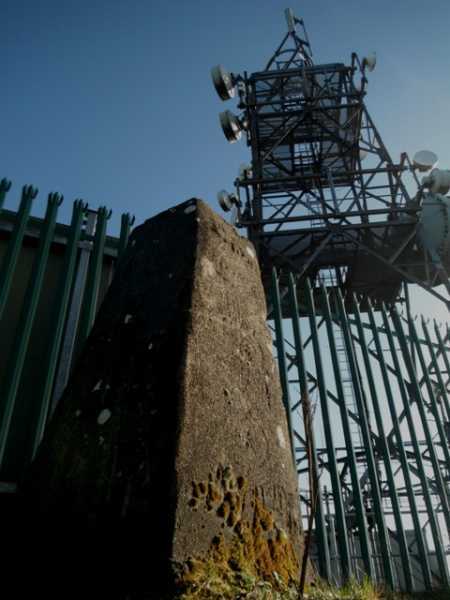 This eventually gets you to the track shown running N-S on the ridge south of Slieveboy's summit, though Sheet 69 isn't 100% accurate here. The tracks wind their way east and north up to the summit, which gives new views around every corner.